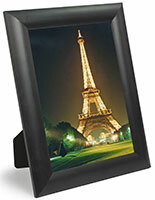 These Picture Frames are Made of Black Plastic and can be Mounted on a Wall or Displayed on a Tabletop! 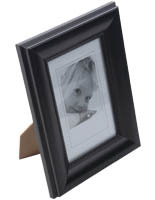 These Picture Frames are Affordable! 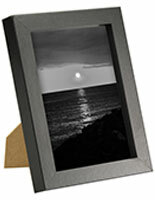 Buy Ready Made Photo Frames Online Today! 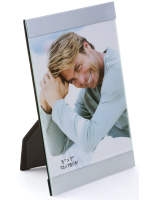 Picture Frames Made of Black Plastic Can be Mounted or Tabletop Display, 5" x 7"
These picture frames display your 5" x 7" pictures horizontally or vertically. 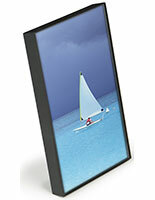 We supply these picture frames with snap-in rear easels and wall mounting holes. 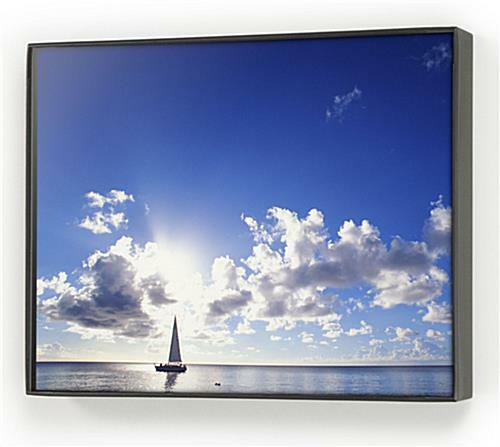 This gives you the choice of having it sit on a desktop or hang from a wall. 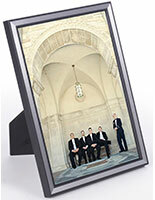 These picture frames are extremely easy to load and unload by snapping the front lens out and back in. 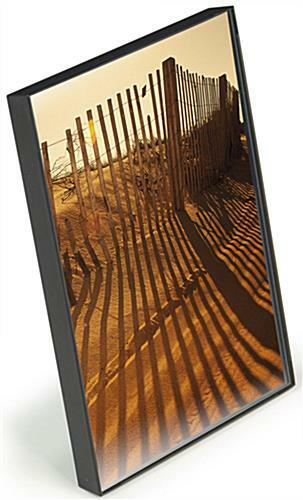 The frame is fabricated from lightweight plastic, which creates a thin black border around your picture. 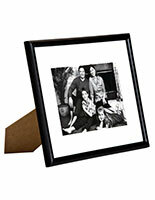 These frames, which are known as photo frames, are ideal to add personal touches to an office or to exhibit in your home. 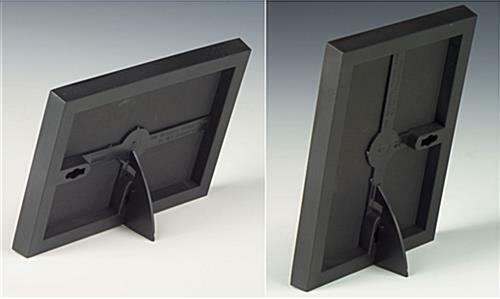 5.1" x 7.1" x 0.625"
Was a perfect solution to my needs.